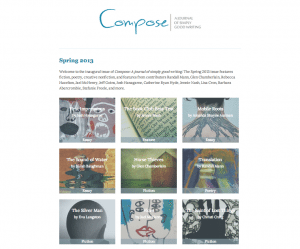 ‘Compose’ Journal Update—Our Blog Is Live! 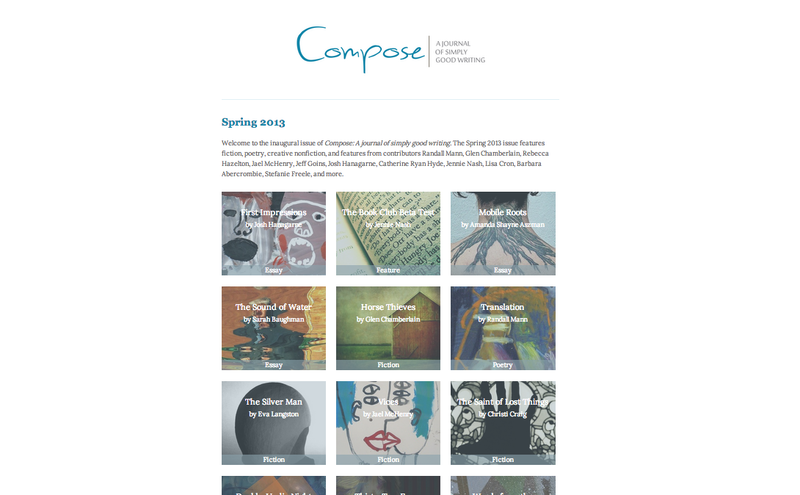 Last year, I shared with you my vision of creating a biannual, digital literary journal which would be connected to Write It Sideways but would also stand on its own. I wanted to give readers of Write It Sideways a regular opportunity to see good writing in practice, and provide another venue for emerging writers to see their work published alongside established writers. Over the past four months, an amazing team of editors has helped me shape that vision into Compose: A Journal of Simply Good Writing. It’s beautiful, useful, completely free, and available to everyone. the personal triumphs and struggles of writers like you. In the first couple of weeks, we’ll be rolling out Q&A with our editors, which will help you get to know our team a little better. 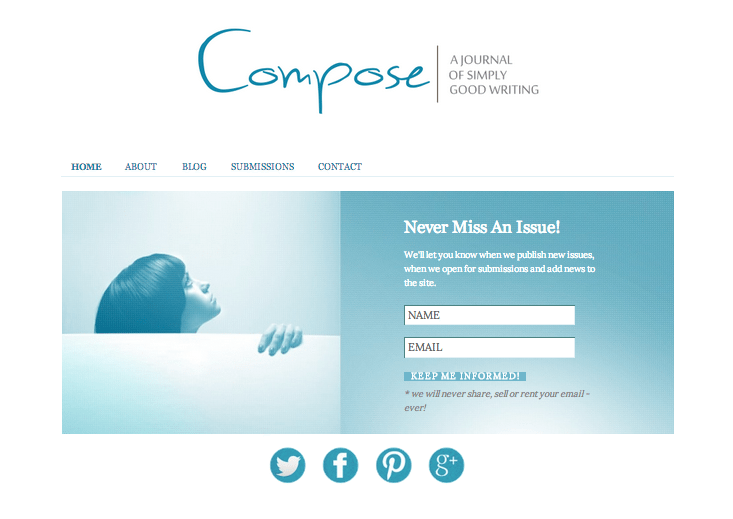 After that, the inaugural issue of Compose: A Journal of Simply Good Writing will be available. And boy, is it good. 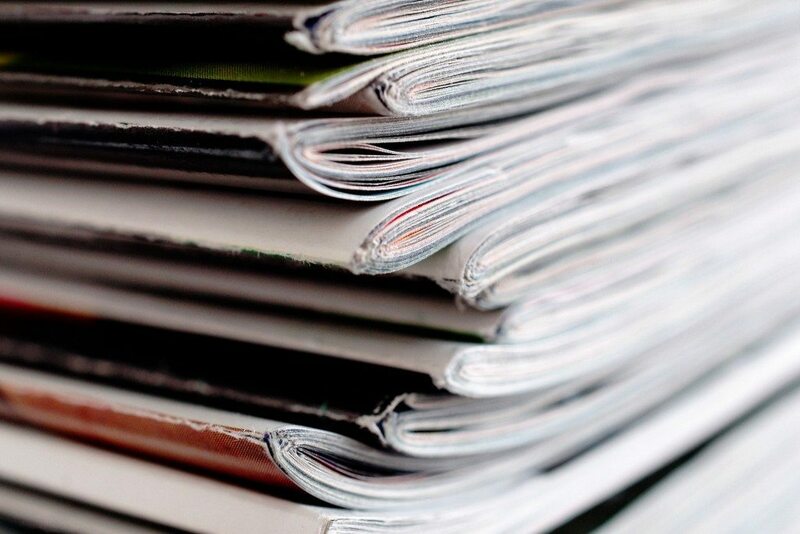 We think you’ll be so impressed with our journal and blog articles that you’re going to want to subscribe and tell all your writerly friends. They’ll be so thankful, maybe they’ll even buy you lunch. 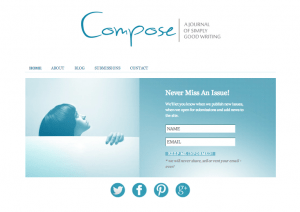 Read 3 Ways to Join the ‘Compose’ Community over at Compose’s blog. Use the sign-up form on the righthand side of the page (or the one on the home page) to enter your details so you never miss a post and so we can tell you as soon as issues of the journal are available. Follow us on Twitter, Facebook, Pinterest, and Google+ to connect with us and other writers. We’d also really appreciate your help spreading the word about Compose by using the sharing buttons on the site. And, when our first issue is live, please share your favourite pieces with those you think might enjoy them. Our team is so excited to be able to finally launch this project. Hope to see you there soon! Congrats on COMPOSE. It sounds awesome. I look forward to reading it –and contributing. Love the look too!